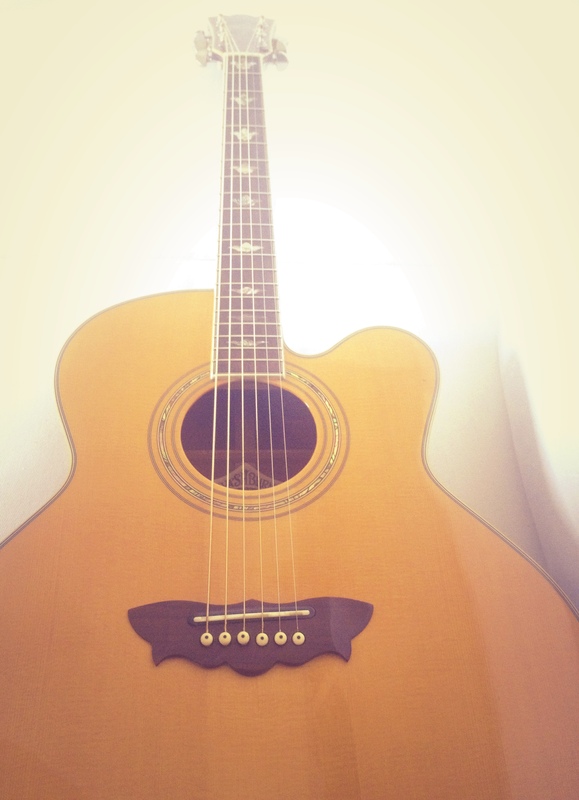 This is the guitar I use the most for my songs. The top of the guitar is solid Canadian Cedar and the back and rib is solid Mahogany. The pre installed pickup is a Shadow SH 4020. Even though this isn't a jumbo guitar, the sound is really rich, full and clear. The rib, back and neck are golden Mahogany. This guitar is more for strumming than fingerpicking but sometimes used as backup guitar. 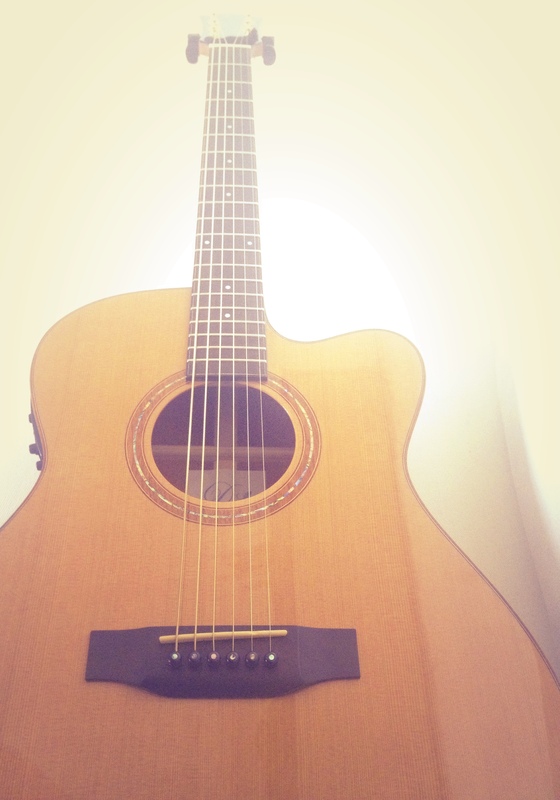 This is the guitar I started to learn acoustic guitar, so there's some kind of memory to it. 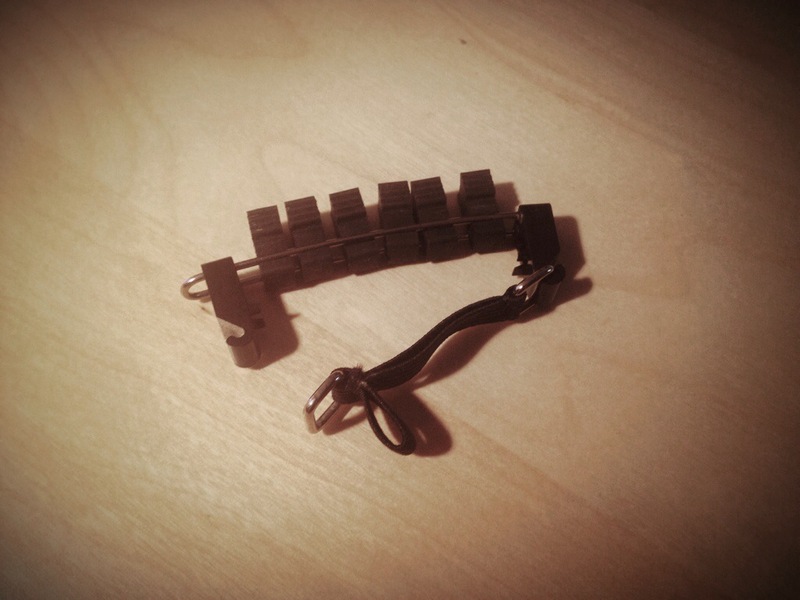 This is more or less just a regular Capo that covers all strings. As the name suggests it can be changed quickly in live situations. I love this capo. It's meant for DADGAD but you can place the capo on any fret and even reversed. 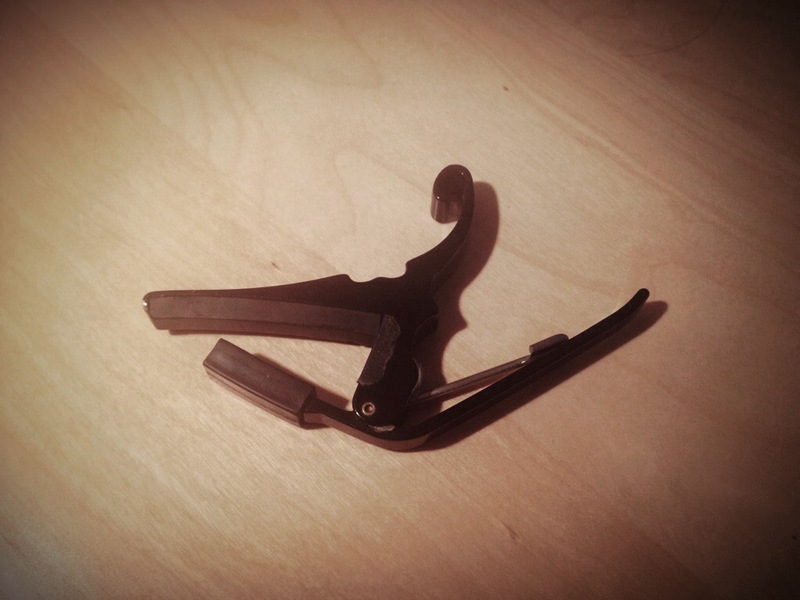 I currently don't use this capo on any songs, but good to have the option to add a capo for single strings ;). 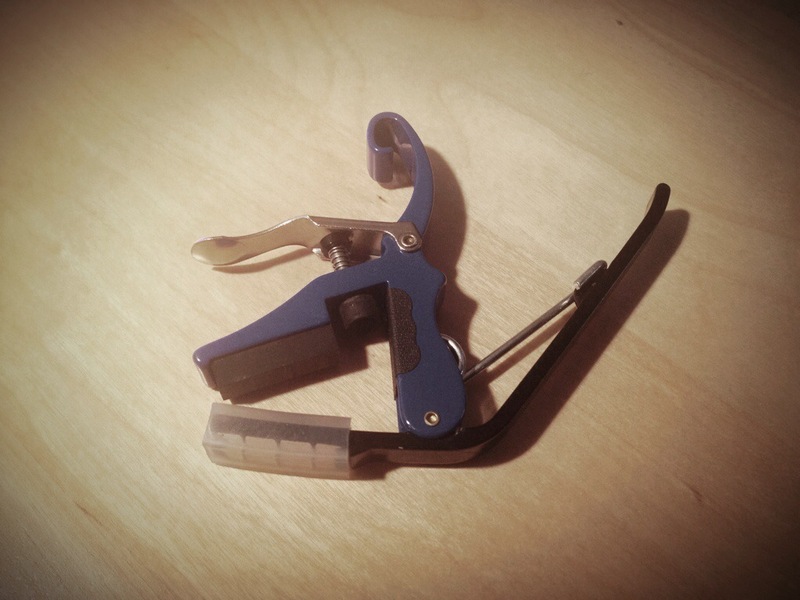 Also not used in a song right now but it's fun to experiment with this capo. If you don't hold down a string it rings a harmonic. 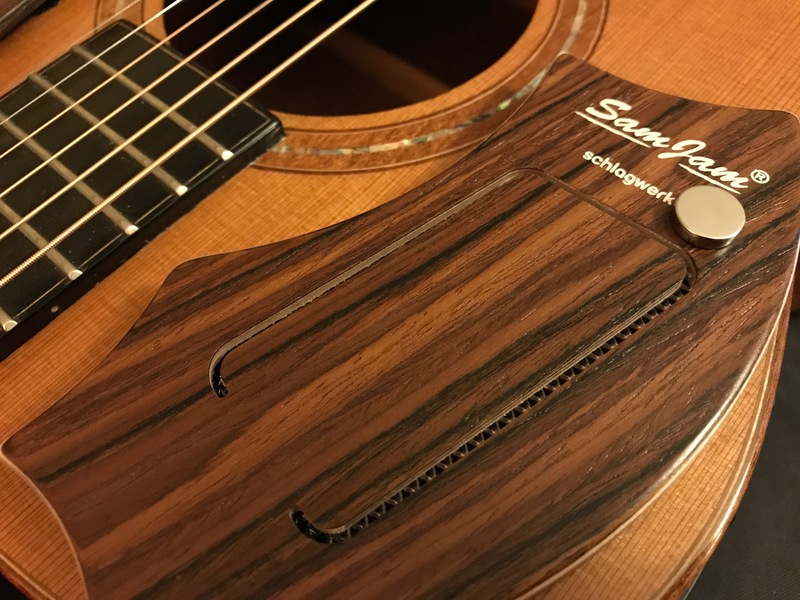 This really is an amazing gadget for acoustic guitars. 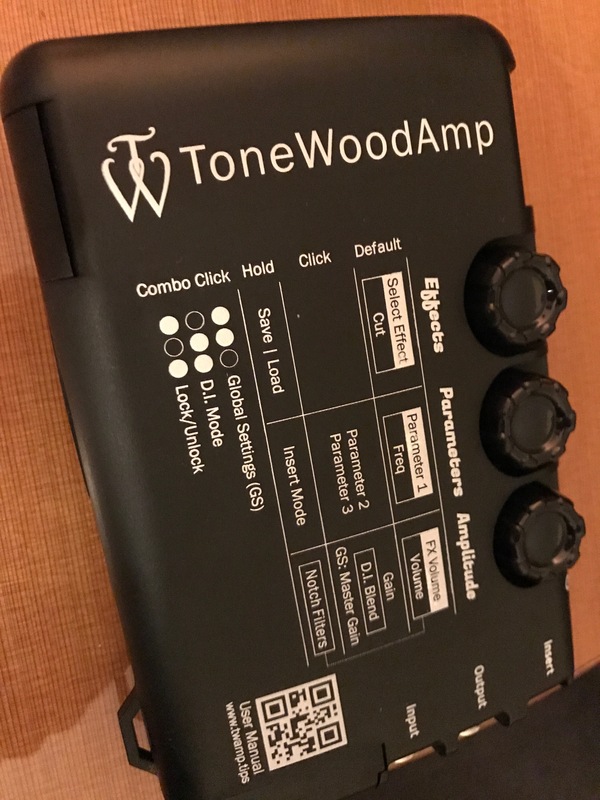 It amplifies the effects directly through the body of the guitar and is attached on the back of it. 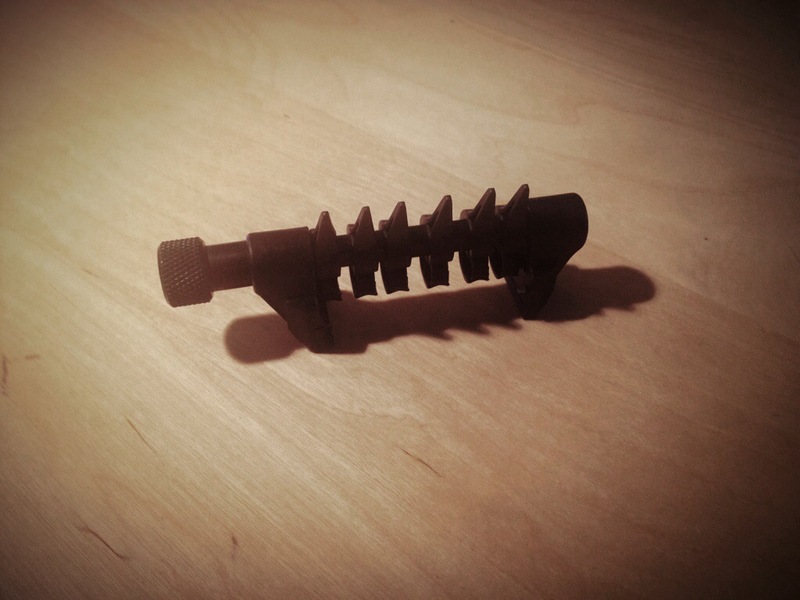 Can be attached to the guitar and produces a snare-like sound by hitting it. The strings on my guitars are Elixir Nanoweb Light Phosphor Bronze (012 - 053). For recording I use a MXL 2006 microphone additionally to the internal pickup. When recording stuff for my Podcast I just use my Smartphone.